This evening’s Champions League final pits firm-favourites Bayern Munich against underdogs Chelsea both of whom have had to defy the gods en-route the final. Bayern Munich, who I tipped as my Champions League winners in a blog post at the start of the season, will have the huge advantage of playing the final of European football’s showpiece event on their own pitch, in front of a lot of their own fans and in the comfort of their own stadium. As nice as it is for Bayern to be playing on home turf, if some were to level criticism at them for winning the trophy in favourable circumstances then that would be grossly unfair given that they have overcome the likes of Real Madrid en-route to the final. Madrid who early in the second leg of their Semi-Final clash had a 3-2 aggregate lead and a 2-0 lead on the night, were eventually out-gritted and out-done by the kings of German football who somehow found the strength to claw their way back into the tie and win it on penalties. It is also hard to estimate just how much of an advantage it will prove to be for the giants of German club football to be playing at the Allianz Arena given that their home fans will theoretically have a far smaller ticket allocation than they would usually have for matches in their own ground. However, given that Munich are hosting the final it is more than likely that the ‘neutral’ sections of the ground will be awash with the red shirts and this anticipated wealth of support should give them the edge if they didn’t already have that in terms of their arguably superior playing personnel. Opponents and ‘visitors’ Chelsea have endured a very strange season indeed. They have already slumped to a pretty dismal sixth-placed finish in the Premier League but they have also managed to land themselves some silverware in the FA Cup. The other major positive in Chelsea’s season of contrasting fortunes has been their rise from the ashes in this season’s Champions League which has seen them recover from 3-1 down against Napoli after the first leg of their Second Round tie and from 2-1 down and a man down half an hour into their Semi-Final against a much-vaunted Barcelona side. The man who must receive the most credit for dragging Chelsea’s season up from the cusp of a crisis is undoubtedly their Interim Manger Roberto Di Matteo. The young Italian has led the side he once played for with admirable calmness and confidence and should he fulfil the Chelsea Owner, Roman Abramovic’s, dream of landing the Champions League then surely he will be named the full-time boss come next week. The outcome of the final could well be result of the team selection’s which both of the manager’s make and the reason for this is that both of them will be without several key players due to suspension. Bayern will be without youngsters Holger Badstuber, David Alaba and Luis Gustavo who all would have been probable starters and Chelsea are missing their captain, John Terry, the ever-reliable Branislav Ivanovic and energetic midfielders Raul Meireles and Ramires who performed brilliantly against Barcelona in the Semis. Chelsea’s probable selection at right-back will be Jose Bosingwa who isn’t exactly renowned for his exemplary defensive strength and discipline but in the absence of the suspended Ivanovic he has to play ahead of Paolo Ferreira as he has the pace to try and deal with the rampaging runs of Franck Ribery. Ribery is one of the the most talented players in the Bayern side and although he has failed to truly prove himself on the very biggest stages of world football thus far, maybe tonight will provide him with the chance to shine. Going up against Bosingwa will have it’s difficulties in terms of Bosingwa’s speed which should help him keep with the Frenchman but Ribery’s craft and dribbling ability could cause the Portugese full-back to have a torrid evening. 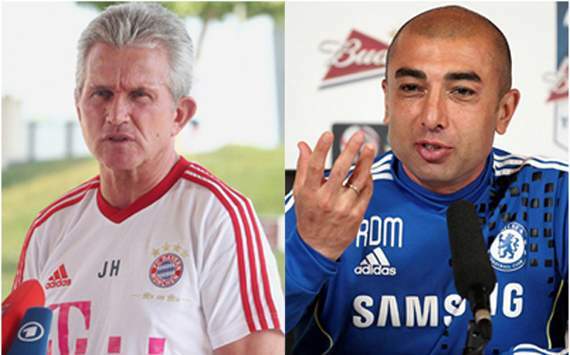 If Bosingwa keeps Ribery in his pocket then much of Bayern’s threat will be negated. 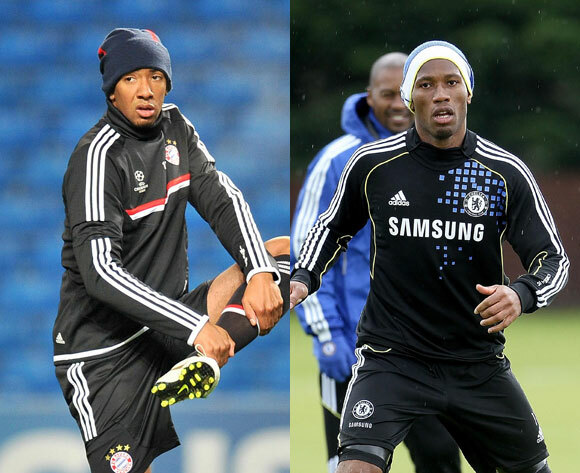 In the absence of first-choice centre-halves, the versatile German international Jerome Boateng provide’s Bayern with their only obvious option to command the central area of their back-line and the task ahead of him could hardly be more difficult than having to deal with Drogba. There is arguably still no better player on the planet than Drogba when it comes to playing up top as a solitary front-man and if he is at his best then I would be surprised if Boateng and co keep him quiet for long. If Boateng is partnered at centre-back by an out of position and perhaps more importantly rather short Anatoliy Tymoschuk then much of the defensive burden may fall on his shoulders and he could be almost solely reliant for taming the undoubted threat which Drogba poses. Two of this final’s veteran players could have a huge say in the outcome of the match as both of them hold the key to their side’s passing games. 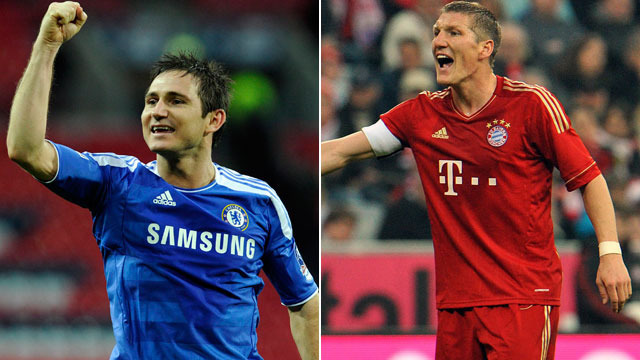 Both Lampard and Schweinsteiger are seen as their side’s dictators of play and much will rest on each of their shoulders as they seek to win the possession battle which could prove very significant on the night. Having played very little football over the past few weeks due to injury, tonight could go one of two ways for Chelsea’s January recruit Gary Cahill. One possibility is that this short-term absence has kept him fresh and ready to take on Bayern tonight, but the other possibility is that he may be under-cooked which he simply cannot afford to be when taking on the likes of Mario Gomez who has already scored 41 goals this season in all competitions. Gomez has some similarities with Chelsea’s target-man Didier Drogba in that they are both part of a rare-breed of tall and strong strikers who aren’t merely physical presences but who are also very mobile and very technically sound footballers. If Gomez performs to something like the best of his abilities then Cahill will have to produce an epic performance to try and keep him under wraps as his likely parter at centre-back will be David Luiz who in spite of an improving level of awareness still represents something of a liability. I think that both sides will provide a threat due to their respective absences of key players in key positions but I think Bayern will come out on top and deny Chelsea from winning a first Champions League title.